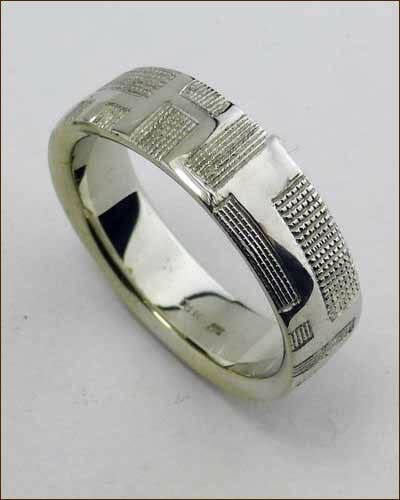 This unusual ring from a master of the art of goldsmithing features a geometric pattern in a continuous flow. 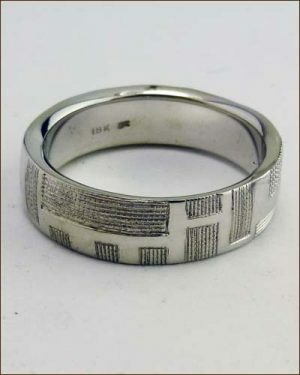 The ring is made of 18K white gold and measures 6 mm wide. It is a size 9.